Your family’s safety is important. 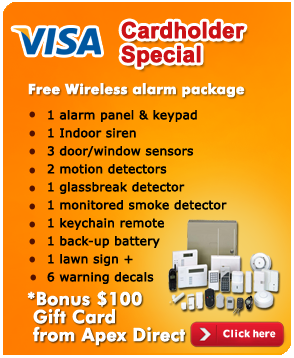 Don’t settle for anything less than the best home/business alarm service. 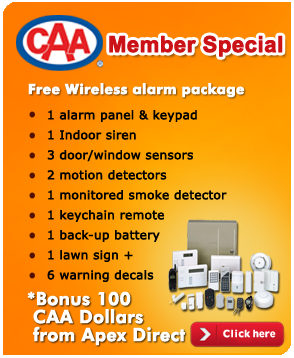 We offer high quality alarms with second to none service. You can trust ADT® Winnipeg monitoring services, the industry’s top rated home security service provider. Burglary and crime are a daily part of the news throughout Canada. Proactive Winnipeg home and business owners turn to ADT® services to provide protection and peace of mind. ADT® is the largest security monitoring company in world and has been in the security business since 1874. ADT® Winnipeg 80% of the fortune 1000 businesses in North America and over 800,000 homes in Canada. (ADT’s monitoring center agents go through a comprehensive training program before being certified by ADT® and are independently recognized as the best critical systems support providers in the industry). Your ADT monitored security system is connected to ADT’s Customer Monitoring Centers. ADT Winnipeg monitors your home 24 hours a day, 7 days a week, 365 days a year. Our monitored smoke detectors and medical emergency services utilize “Always On” devices even when your burglar alarm is not armed. When an alarm is triggered,ADT can alert the police, fire department or an ambulance even if you’re not home. The benefits are numerous, almost endless, but let’s look at some of the things our customers are enjoying most about ADT Pulse. The first is the ability to check the status of your ADT Pulse home security system remotely from your smart phone or computer with Internet connection. After checking whether your security system is armed or disarmed, you also have the ability to remotely ARM or DISARM your security system. 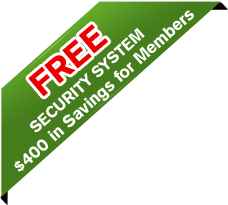 The term “cellular security system” is becoming more popular. Most often it refers to a security system that uses cellular communication to communicate to the ADT monitoring center. Wireless security systems have a GSM Cellular unit built into the control keypad and hard wired system have an external GSM cellular security device. Eighty percent of our customers are getting a security system installed with cellular communication as the primary means of communicating to the ADT central monitoring station.